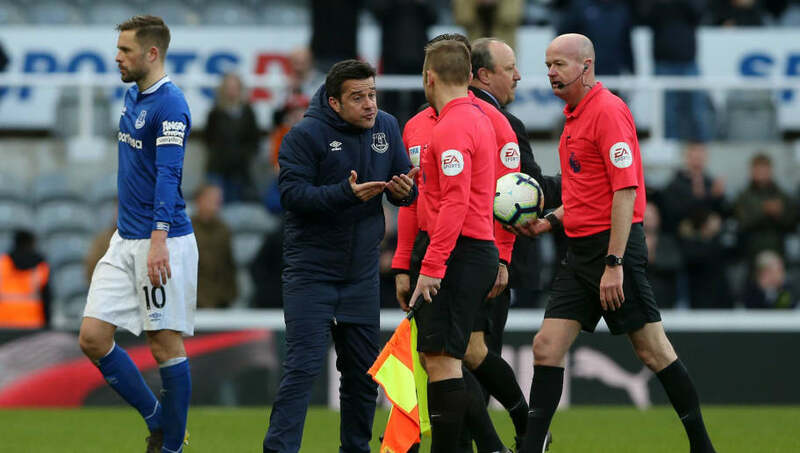 ​Everton manager Marco Silva has been officially charged by the FA, after confronting referee Lee Mason following his side's 3-2 defeat to Newcastle at the weekend. The Toffees had led 2-0, but a remarkable second-half come-back from the home side, culminating in a stoppage time winner from Ayoze Perez - with replays later showing the striker was offside - which left Silva incensed at the full-time whistle. He proceeded to confront the official, and has now been charged for 'improper conduct' relating to his actions, according to an FA Spokesperson on Twitter. [2/2] It is alleged the Everton manager’s behaviour on the field of play at the end of the fixture amounts to improper conduct. He has until 18:00 on Thursday [14 March 2019] to respond to the charge. He has until Thursday 14 March to respond to the charge, and could be facing a fine or a potential touchline ban depending on the ruling. If any clarification was needed over the source of his frustrations, he cleared it up after the match, going off on a ​furious tirade about the decision not to rule out the winner. "When they scored the third goal it was a big mistake by the assistant - it was a clear offside," he said after the match. "If you see the image it's not just one or two players in offside positions, there were five ​Newcastle players in the same line in offside positions." "If 2-2 for us at that moment was a big frustration, imagine when they scored the third goal in a clear offside position?" The defeat saw ​Everton slip to 11th in the table, and they now have a mountain on their hands if they are to overturn the eight point gap between them and seventh place.